Time for a root canal? Don’t put it off–schedule a visit with our practice and get out of pain. The focus of modern dentistry has been to help patients keep their natural teeth. When there is a choice between “saving” a tooth with a root canal, versus extraction and replacement with an implant, it creates a debate. It can sometimes pit patients against the wisdom of their dentist. And while this article won’t end this debate, it may shed some light on the pros and cons of each procedure. Root canal therapy begins by gaining access to the tooth’s interior via a small opening made in its surface. Then, diseased or dead pulp tissue is removed from deep inside the tooth. The “canals” containing the nerve, which extend down into each root is removed, cleaned and disinfected. After being filled with an inert material, the tooth is sealed to help prevent re-infection. Sometimes a crown or “cap” is needed to hold the tooth together and restore normal function. The success rate for a root canal these days is in the upper 95% to 99% range. 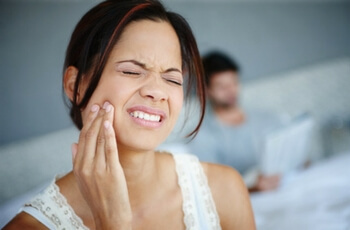 If a tooth is compromised due to decay or trauma, the damaged tooth may need to be removed. Based on the condition of your jawbone, bone grafting may be necessary. Either way, a metal implant post is positioned in the jaw that will eventually serve as the implanted tooth root. Then we wait for your body to deposit bone to fill in around the post. This can take several months or longer. Your jaw needs to be strong enough to accept the new tooth. Finally an abutment is placed to accept the artificial tooth and more healing is required. There is a chance of infection when embedding a foreign object into a person’s mouth. Natural teeth tend to offer superior biting and chewing function. Implants can cost two to three times as much as a root canal. A root canal can often be completed in a month or less. Implants can take anywhere from five months to a year to complete. The decision to choose a root canal or a dental implant is complex. From a clinical perspective our recommendations are based on many factors. We share those factors with our patients and help them reach an informed choice. « Is It Plaque and Tartar?